Come down into the dark dungeon and knock mechanical monsters down. It's a retro styled action RPG. Let's power up by tons of items which are hidden in it, and go forward and forward! Get lost on the way in the dungeon? Don't worry, a system of auto moving will take you as you wish. Enjoy your exciting adventure in the dungeon! Adjust the direction and power, and then shoot the tank. The tank attacks automatically as long as there is a target near where it stops. Be aware of the obstacle locations and the tank specifications for you to destroy the target. There are 20 maps total. Tiny Toon Tank is a small game. But you can have a lot of fun if you play this game with your friends. 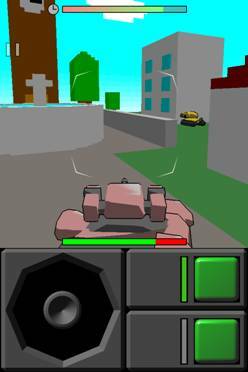 Let's create your own tanks and play with your friends on multiplayer mode. 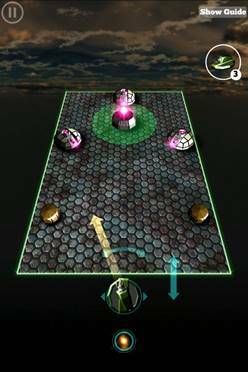 If you want to play with people around the world with a customized robot, you must download the game ! !